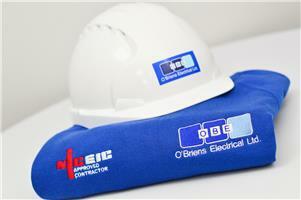 O'Briens Electrical Limited - Electrician based in Bexley, Kent. O'Briens Electrical Ltd specialise in providing expert electrical services to the domestic, commercial and industrial sectors. We supply, install, test, commission and maintain services for clients and pride ourselves on our excellent reputation for high standards of workmanship and value for money. It is these standards which ensure our clients return to us time after time. The majority of our work still comes from word of mouth and repeat customers, which we believe is a testament to the quality of our service. From the complete electrical design of a new build, down to installing a light fitting, we can help.